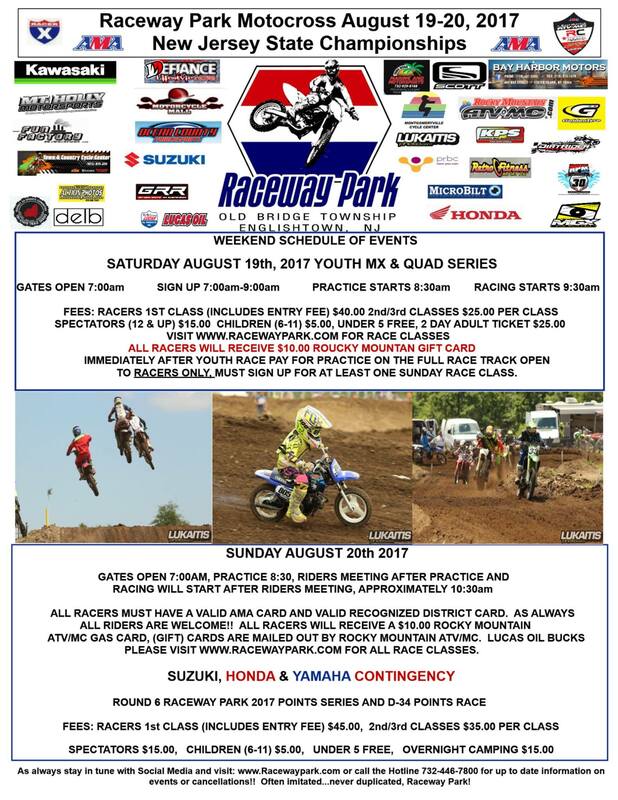 Raceway Park motocross returns to action next weekend, August 19-20. The event features youth racing on Saturday and a full schedule of classes for Sunday. Sunday will also feature contingency from Suzuki, Honda, and Yamaha.